Consider the role brands play around events like the Oscars or the Super Bowl. It’s clear that you can spend millions of dollars in commercials, and still your campaign can be outdone by a single, simple tweet. We only need to look back a couple of years and remember Super Bowl XLVII, when — shortly after Beyoncé killed her halftime set — the power went out in The Superdome and Oreo seized the moment. It proved to be one of the most memorable branded tweets ever, particularly because it filled an unexpected vacuum that arose during a night when brands famously spend millions of dollars on a few seconds of airtime. It was a quick, nimble, and cost-effective piece of marketing. 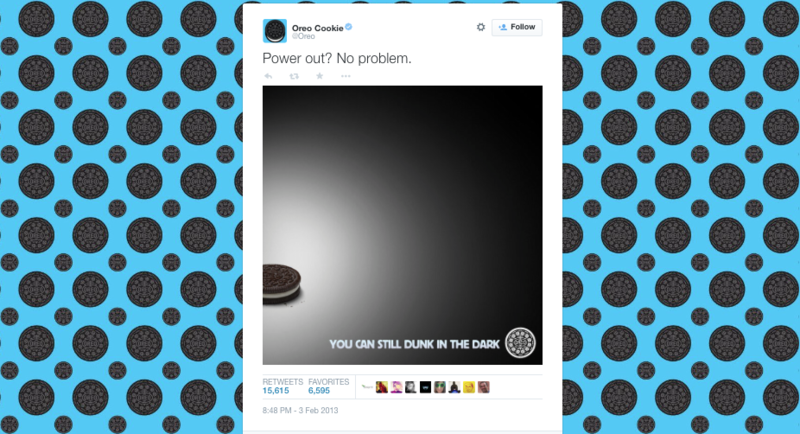 Oreo set the bar for brands to engage with consumers during high-profile live events. Since then, many have tried to replicate that shine on Twitter and Facebook. Among them, DiGiorno — who could forget how, later that year, they caused a Twitter storm live-tweeting NBC’s “The Sound of Music Live”? Last month, Lady Gaga “won” the Oscars and the Internet thanks to social media. Twitter said her Little Monsters generated the highest number of tweets per minute during the show, while Facebook estimates there were 214,000 Gaga-related interactions globally during her breathtaking performance. Lego also had a big night, even though “The Lego Movie” was snubbed. The brand garnered 47,290 mentions on Twitter alone during the Oscars — thanks to a rendition of the movie’s theme, “Everything is Awesome,” which was, appropriately, pretty awesome. It wasn’t nearly as huge as last year’s epic selfie with Ellen DeGeneres, but impressive nonetheless. All this is to say, brands that are serious about their future need to be serious about social media. As we’ve said in the past, you have to go where consumers are congregating, so when we build a strategy for a client, it’s essential to bake in a social game plan. Social media is an incredible, powerful machine, and those brands that leverage it wisely can quickly rise above the noise. It’s more than just an afterthought. Ignore it at your own peril. On the heels of an unprecedented fashion show, it was time to head back to the Big Apple to join two of our most iconic clients in celebration of a groundbreaking launch. 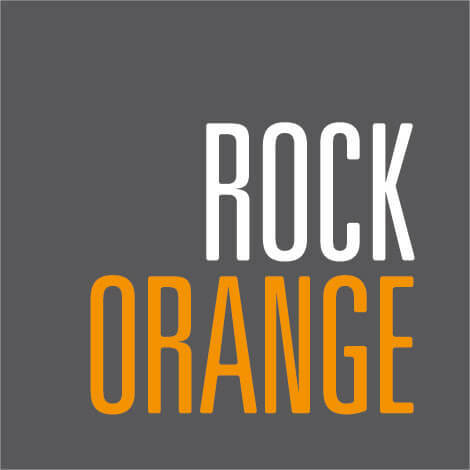 Earlier this month, RockOrange marked the official launch of the Thalia Sodi collection at Macy’s legendary Herald Square flagship store. What better place than the world’s largest store to celebrate a star who is larger than life? Our RockStars were tasked with U.S. Hispanic media outreach to make the event — and the collection — a total success. The team supported Macy’s internal team, with everybody, from the event team to the PR team, coming together for a night to remember. Different factors set this project apart for us. First of all, this is the biggest launch in Macy’s history, and the events surrounding it matched the scale of a superstar like Thalia. This main event, which took place on March 4, was a spectacular celebration spanning several floors of the Herald Square location. This is the first time that Macy’s presents a collection that spans so many departments, from apparel, to shoes, to accessories. The official launch of the collection was a must-attend style event that featured media, VIPs, influencers and an appearance from Thalia herself. We started by coordinating several one-on-one interviews with a few of our top media friends, followed by an intimate VIP reception at Stella 34 in Macy’s. We then collaborated to help put on a fashion show, which was introduced by Terry Lundgren, chairman and CEO of Macy’s, and featured more than 50 vibrant looks from the collection. We also engaged some of Thalia’s most devoted fans, who were able to meet the star, take pictures and get her latest album signed by the star. The store’s salute also encompassed six Broadway windows dedicated to showcasing the collection, with graphics and mannequin strike points along the main floor and a branded display atop Macy’s Broadway marquee. We’re proud to have brought our RockStar power to the table, to ramp up buzz around a collection that is as sparkling, dynamic and fresh as Thalia herself. Follow the buzz with #ThaliaSodiCollection and #ThaliaForMacys on Twitter and Instagram.